Top 3 Budget Friendly Blushers That are Worth Every Penny! A blush is a girl’s best friend! The best part is, even if you forget to contour, a blush can make up for the contour. How? Just add a little warmth to your cheeks, nose and chin. This will give your face the trending flushed look. Here are our top 3 blushers that are worth every penny! This radiant blush is best when you are running out of time. You get four amazing shades to choose from and the best part is that you can skip the highlighter with this one! Why? 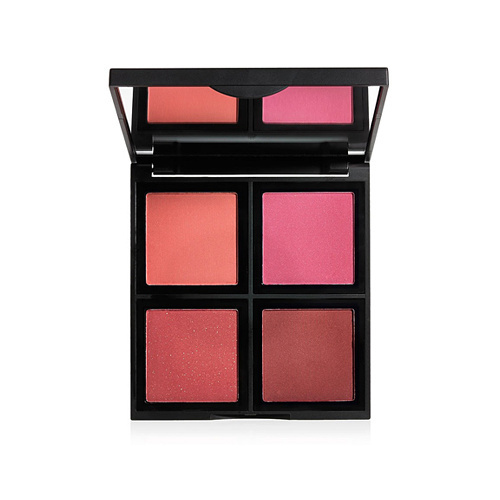 Because this blush will not only give you rosy cheeks;but will also give a radiant glow to your face. If you do not have your contouring palette, then you can use the peachy shade as a contour aswell.All the shades can be used as a lip topper aswell to set your lip color. This cheek and lip tint is totally worth the hype! The portable packaging makes it a travel friendly product.Just keep it in your bag and add a few drops of the rosy tint on your lips and cheek to add warmth to your face. This is best for daily use as it gives a very natural look. For a flushed look, put a little tint on the tip of your nose aswell. Add a little lipgloss to this cheek and lip tint to enjoy a more glowy lip look. There is so much you can do with this one product, the sky is the limit! Matte Blushers will never go our of fashion. These blushers are best when you use a contour and a highlighter seperately. This blusher comes in a range o colours to choose from. The deepest berry colors are best for deep skintones and the pink shades are best for medium to fair skintones. It is best to apply this blusher with a fluffy brush to achieve a natural look. Now you dont have to spend a fortune to achieve the blush of your dreams…these blushers are everything you had been looking for! Let us know your thoughts in the comments.